Perhaps the pairing of Cassandra Wilson and Billie Holiday carries a whiff of inevitability, but there's nothing predictable about Coming Forth by Day. 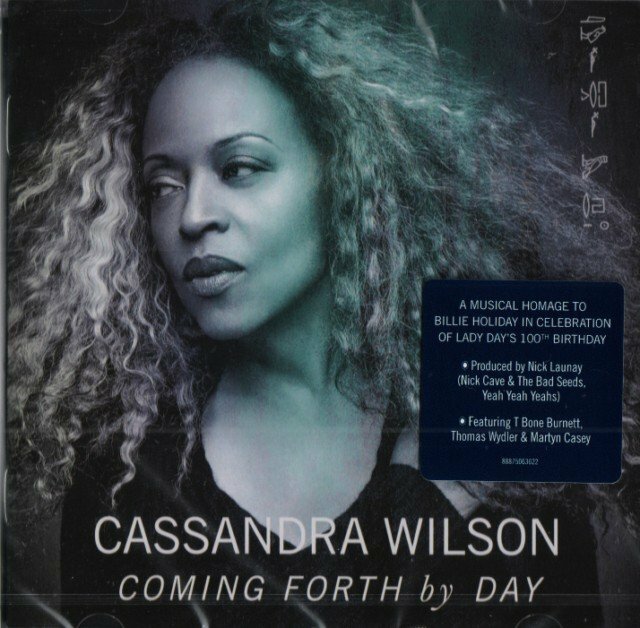 Released to coincide with Holiday's centennial in 2015, Coming Forth by Day explicitly celebrates Lady Day by drawing upon standards she sang in addition to songs she wrote, but Wilson deliberately sidesteps the conventional by hiring Nick Launay as a producer. As a result of his work with Nick Cave, Launay mastered a certain brand of spooky Americana, something that comes in handy with the Holiday catalog, but Coming Forth by Day is never too thick with murk. It luxuriates in its atmosphere, sometimes sliding into a groove suggesting smooth '70s soul, often handsomely evoking a cinematic torch song -- moods that complement each other and suggest Holiday's work without replicating it. This is a neat trick: such flexibility suggests how adaptable Holiday's songbook is while underscoring the imagination behind Wilson's interpretations. Certainly, Launay deserves credit for his painterly production, but the success of Coming Forth by Day belongs entirely to Wilson, who proves that she's an heir to Holiday's throne by never once imitating her idol. A homage to legendary jazz vocalist Billie Holiday (born Eleanora Fagan on April 7, 1915) on the 100th anniversary of the singer's birth. 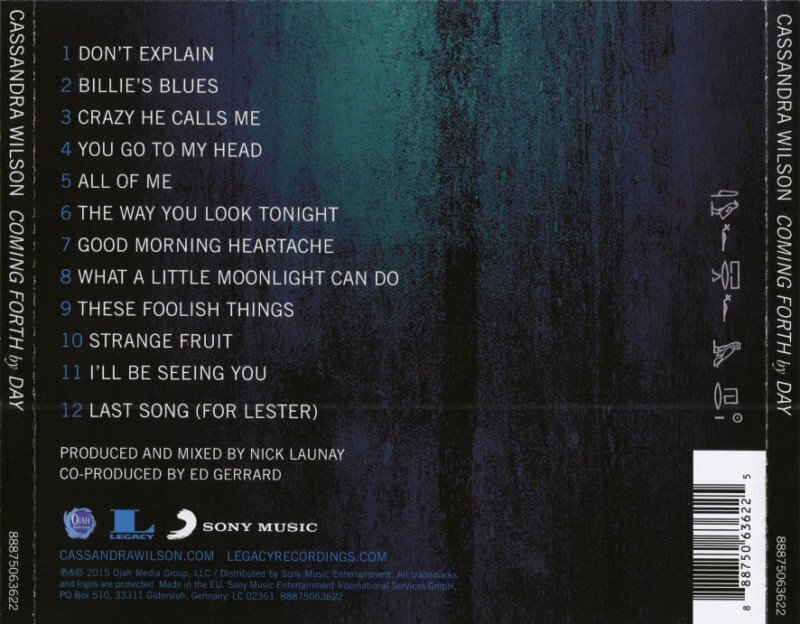 The album features 11 re-interpretations of standards associated with Lady Day plus an original penned by Cassandra Wilson the dream-like new "Last Song (For Lester)," imagined as a heartbreaking final message from Billie to her musical love, Lester Young.